Accommodations: Sleeps four in double V-berth and two settee berths. Headroom is 6 feet on the centerline. Huge cockpit with swivel chairs and bench seat aft, including table; folding director chairs are recommended for additional seating. Anchor well forward with “rumble seat.” Fishing poles, gaffs and boathooks may be stowed under side decks in racks. NOTE: Full water & fuel tanks add over 3,000 lbs to “light” vessel weight; vessel should be operated conventionally with tanks at half-capacity unless undertaking a long cruise. Type: New Jersey Sea Bright Power Skiff (after Banfield, circa 1928); suitable for running in coastal and offshore conditions. 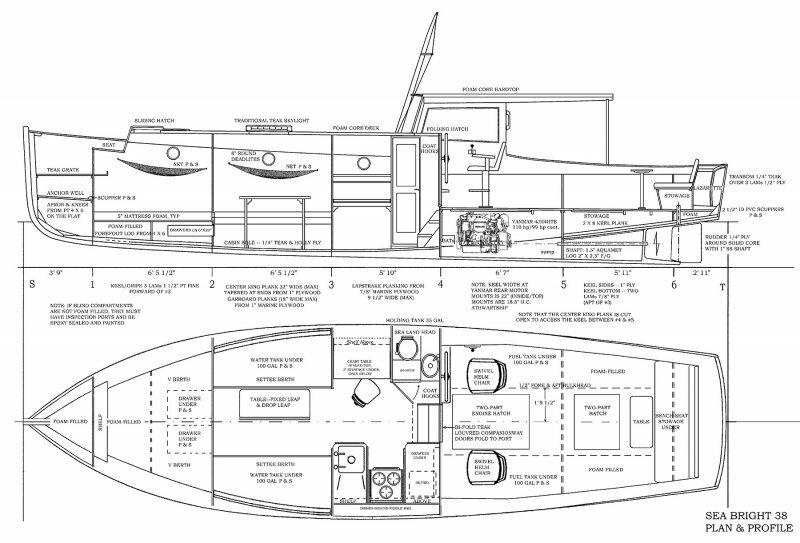 This model is designed with watertight floatation compartments and accommodations for four with a galley and head (including a shower). The type has an excellent record as offshore yacht and commercial fishing vessel, and can be used as an island-hopper, coastal cruiser, and ocean voyager. Construction: Lapstrake marine plywood covered with epoxy-saturated Xynole-polyester fabric. The hull is frameless, being built over bulkheads. Skill-level required for construction is moderate to high. 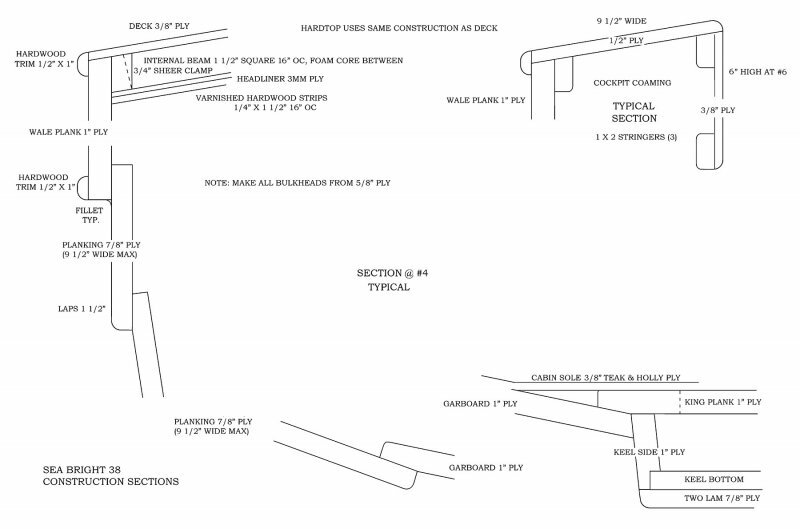 Alternate construction methods include strip plank and triple planked (Parker Method).